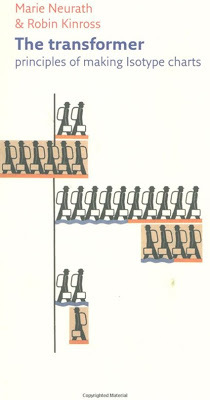 Fantástico enlace dónde se pueden ver los trabajos de Otto Neurath, Marie Neurath (Reidemeister), Ivan Ivanitskii y Gerd Arntz. The chart above (no.56) is titled ‘Numbers of motor vehicles in the world’ (USA and rest of the world). Even if one cannot read German, the subject reveals itself through the ‘speaking signs’ of the automobiles, each of which represents 2.5 million vehicles. 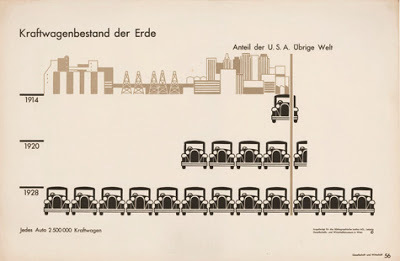 The grey/brown ‘guide-picture’ (as Neurath called it) at the top of the chart gives further context ‘outside the root picture’, in this case indicating the greater industrial development of automobile production in the USA. cover design for book, Otto and Marie Neurath, 1944. Tips for tots’ was a handcrafted mock-up made by the Neuraths as part of a proposal for a series of children’s books sent to Max Parrish in 1944. 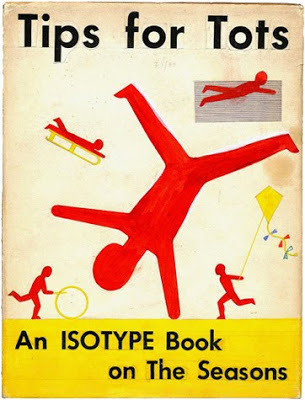 The mock-up was accompanied by a paper written by Otto Neurath, ‘Isotype books for children’. In it he compares Isotype charts with photographs: charts, he said, are a way of encouraging reasoning based on visual statements, while photographs are a way of making children familiar with the appearance of landscapes, animals, plants. Some of the most significant work done by the Isotype Institute as consultants to the Western Region of Nigeria involved the registration of voters, and instructions on how and where to vote. 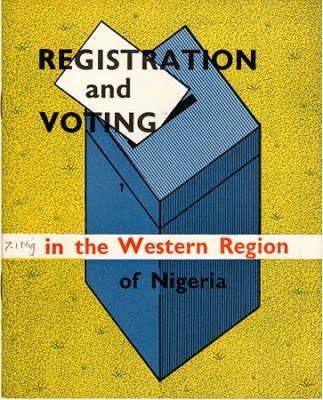 In addition to booklets produced for successive election cycles in 1956 and 1957 (above, for 1956), Isotype designed accompanying posters that encouraged participation, and identified registration offices and polling stations (below, in Yoruba: 510 × 760 mm). 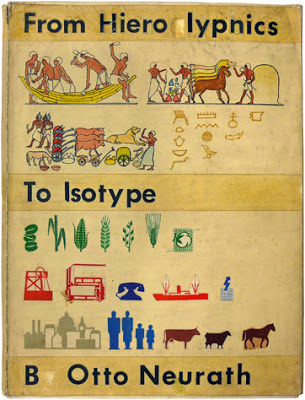 The Isotype ‘Picture dictionary’ was a working reference file of all pictograms designed by Gerd Arntz. 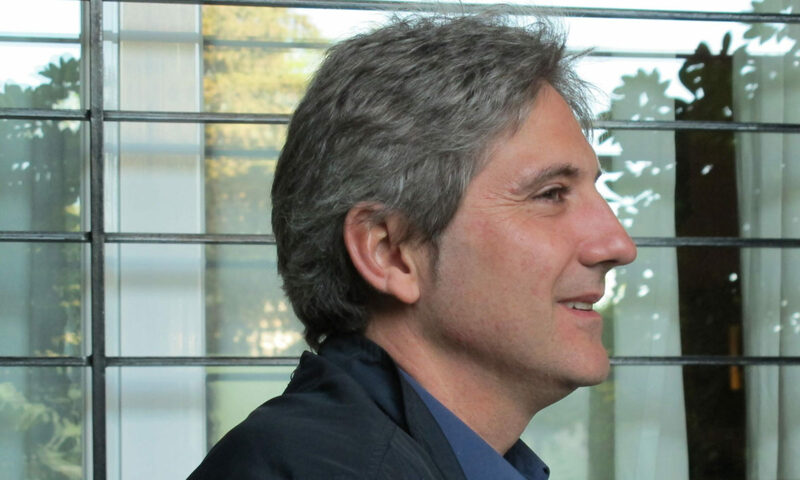 It was begun in Vienna and continually updated. Above is one of the sheets in the category ‘Man’, dating from the early period at the Gesellschafts- und Wirtschaftsmuseum in Vienna. It shows the grammatical aspect of Isotype pictogram design, in which a symbol can be qualified, or made into a kind of compound noun, by combining it with another. The symbols within the human figures here indicate different kinds of profession. 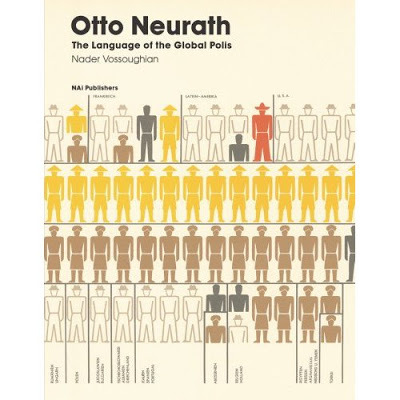 Austrian sociologist Otto Neurath was a seminal Modernist figure. 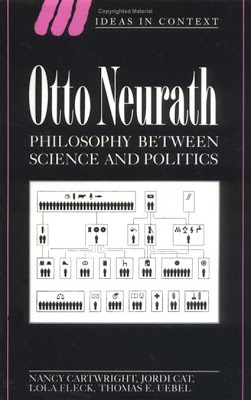 Much attention has been given to his achievements in the fields of graphic design and philosophy (Neurath was a member of the Vienna Circle, founder of the Museum of Society and Economy, inventor of the ISOTYPE pictorial system and champion of the Unity of Science movement), yet his involvement with urbanism and architecture has been all but ignored. From 1931 onwards, Neurath collaborated with the International Congress of Modern Architecture and its chief exponents–Cornelis van Eesteren, Sigfried Giedion, Le Corbusier and Laszlo Moholy-Nagy–to develop an international language of urban planning and design. More experimentally, throughout the 1930s a fascination with visual media led to an attempt to franchise the Museum of Society and Economy by establishing international satellite museums. This volume contains a text by curator and writer Nader Vossoughian, which offers a fresh perspective on one of the most versatile intellectuals of the twentieth century. 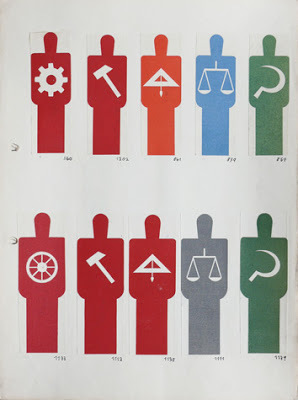 Isotype (International System of Typographic Picture Education) is a system of pictograms designed to communicate complex information in a nonverbal way. Developed in 1936 by a team of sociologists lead by Otto and Marie Neurath, this process of “transforming” data into visual form has strongly influenced the fields of graphic design. The Transformer: Principles of Making Isotype Charts is the first English-language primer on Isotype the foundation of the modern-day pictographic signals found in airports, train stations, highway signs, and computer interfaces. Featuring illustrated examples and essays, including a previously unpublished essay by Marie Neurath, The Transformer is a long-overdue appreciation of an important moment in the history of visual communication.